SNAFU! : Lawrence Korb says the military will pencil whip Mattis request for 80% readiness rate for combat aircraft! Lawrence Korb says the military will pencil whip Mattis request for 80% readiness rate for combat aircraft! I dealt with similar situations twice, first while I was serving on active duty as a naval flight officer in Patrol Squadron 1 (VP-1) in the 1960s; the second during my time in the Pentagon in the Reagan administration. Reading from a board in the duty office I gave him the actual status of our planes, which at that time was not very good. The caller thanked me and said our mission capable rates were not what they needed to be to deal with this situation and he would call another unit, which he did. The second incident occurred nearly 20 years later, in 1984. At that time my boss, Secretary of Defense Caspar Weinberger, was preparing to testify before the Senate Armed Services Committee. Since this was an election year, in his testimony he naturally wanted to laud the accomplishments of President Reagan, who had increased defense spending by almost 50 percent in real terms in his first four years. As such, the secretary constantly praised all the improvements that the services had made in overall military readiness because of the Reagan buildup. Since I was responsible for readiness — my title was assistant secretary of defense for Manpower, Installations and Logistics — I knew that this was not the case and tried several times to correct his prepared testimony. He ignored me but the Democrats on the committee had the classified data on the actual readiness rates and had a field day pointing out the discrepancies. The press, our Republican colleagues, and my boss wanted to know how, with this huge influx of funds for buying all this new equipment, I had not improved the readiness of the forces substantially. The reason, I explained, that readiness had not yet dramatically improved was that the troops had not yet fully learned to operate all the new equipment we were sending them, and that until they did, the units were not technically fully ready. I have no doubt that the forces we had in 1984 would have performed better in battle than the forces we inherited in 1981. But, technically speaking, our women and men were not yet fully trained to operate the new equipment properly. Moreover, after that incident the word went out not to be as rigorous in ensuring all the training was completely finalized, and by the time of the election, our military was in great shape. Based on my own experiences I have no doubt that the services will meet Secretary Mattis’ 80 percent readiness goal, at least on paper. The military follows orders, has a “can-do” culture, and possesses no entirely objective standard for measuring mission capability rates or readiness. Thus, when in doubt they will grade on a curve. The real issue at hand is whether the situation has actually changed any more than the readiness of our squadron did in Iwakuni in the 1960s, or the Reagan forces did in 1984. Not about the information being passed. We all know this to be true. The fact that someone would actually say it outloud is refreshing. Which of course brings us back to the issue with the F-35. I have a couple of stories on that plane this morning but the reality is that after more than a decade the plane still isn't where we want it to be, and because its spread worldwide, it's become an driver of economic development/jobs instead of pure defense project. In essence we can't judge it accurately because too many depend on it for their livelihoods. They blaze in, state that they're working on problem x, y or z, but you never see improvements because the issue isn't to solve the issue but to continue careers and extract money from true believers. 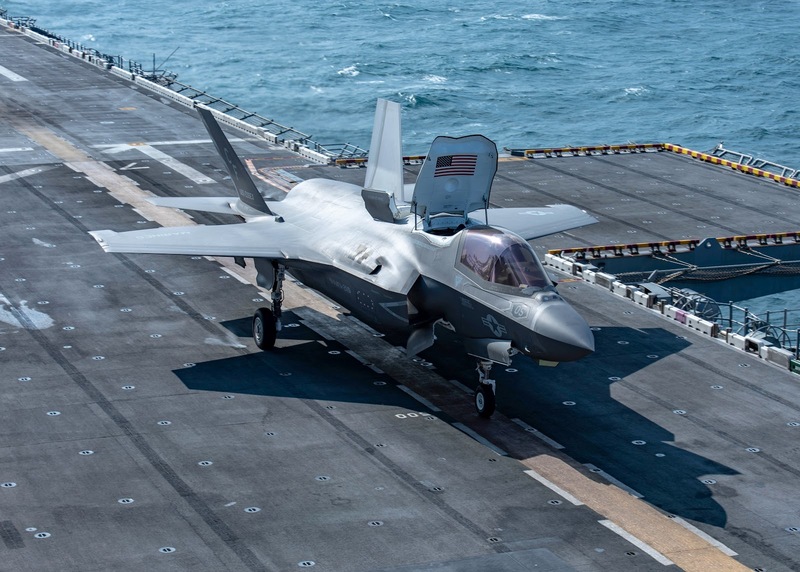 Why is the F-35 so hard to kill? Because its not a defense project. It's a wealth generator, and jobs program. In other words you can't mess with, cancel or alter a program that has so many depending on their livelihoods for it.